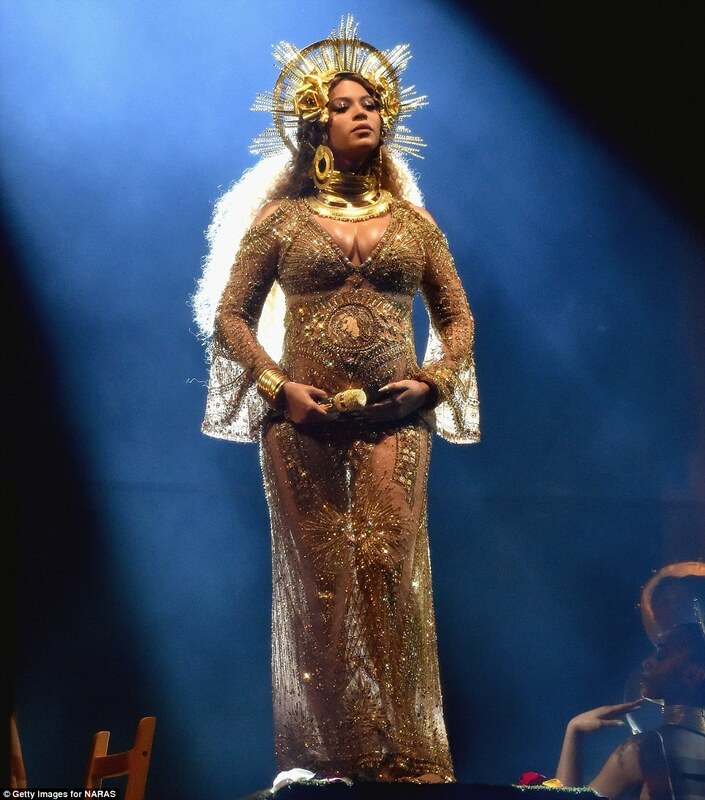 Queen Bey was every bit a golden goddess as she performed on stage at the 2017 Grammy Awards, held in Los Angeles. 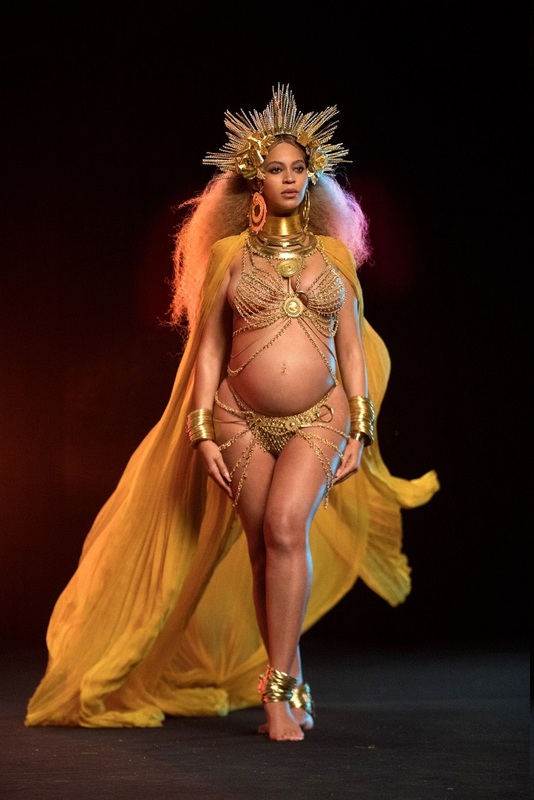 The diva, who is pregnant with twin, rumoured to be a boy and girl, flaunted her burgeoning baby bump in two stellar gold outfits, including a skimpy bikini and a gold sequinned gown. 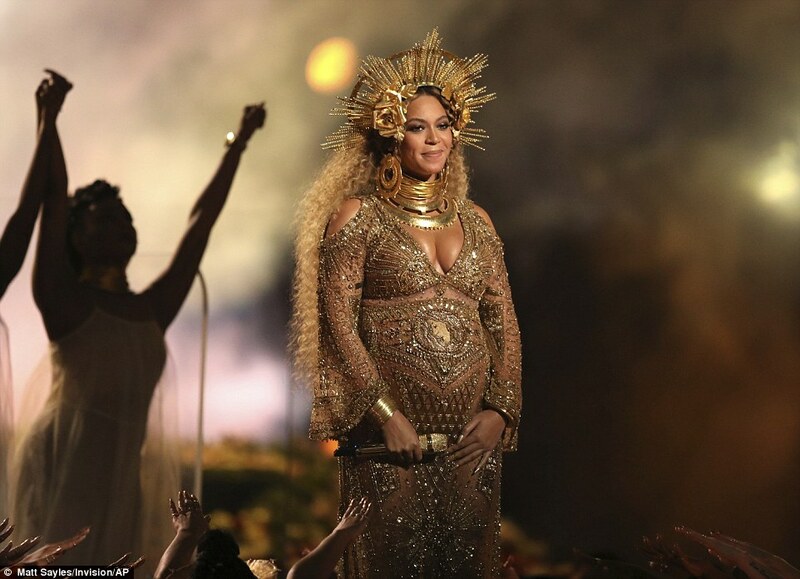 This was Beyonce's first public appearance since announcing her pregnancy with an Instagram shot on February 1st, and kept it glamorous and very royal for the performance. 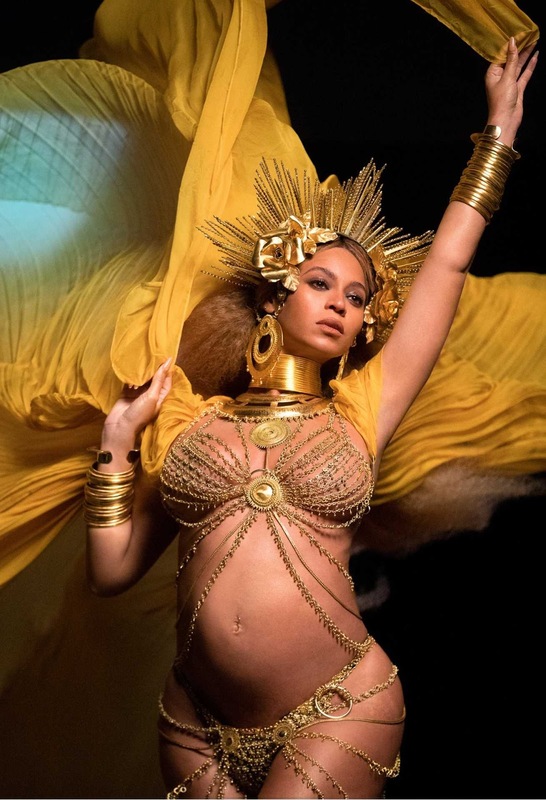 Rocking the custom made Peter Dundas creations on stage, Beyonce chanelled perhaps the goddess of fertility in her heavily embellished costumes. 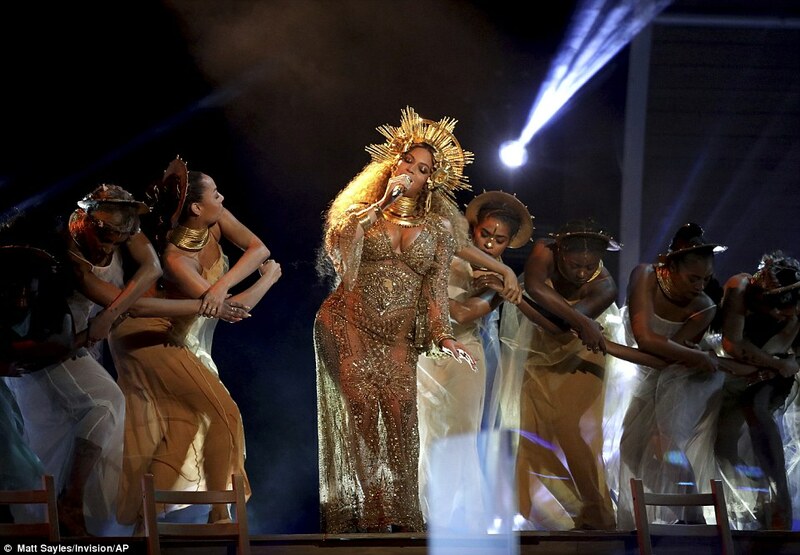 Beyonce started off her nine minute performance while wearing a bejewelled bikini top and bottoms, and performed 'Love Drought' and 'Sandcastles' from her 'Lemonade' album. 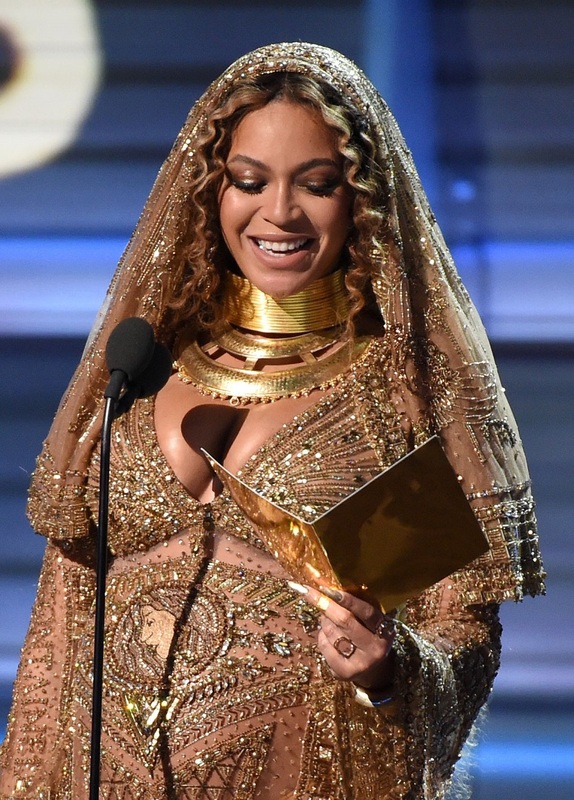 The songstress then changed during the performance, flashed her cleavage in a sequinned gown and yellow cape, continuing to wear her oversized sun ray inspired crown. 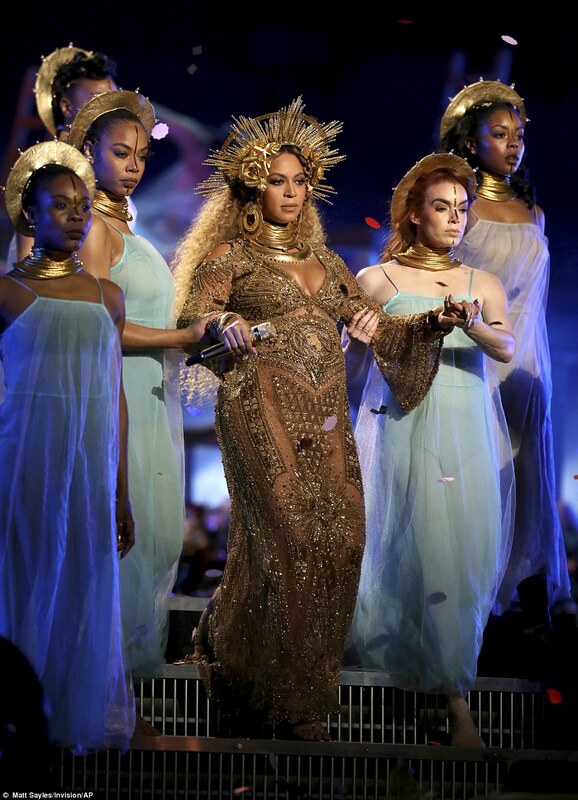 The 35 year old was led by backup dancers for the performance, and the stage was adorned with thousands of flowers for the performance. 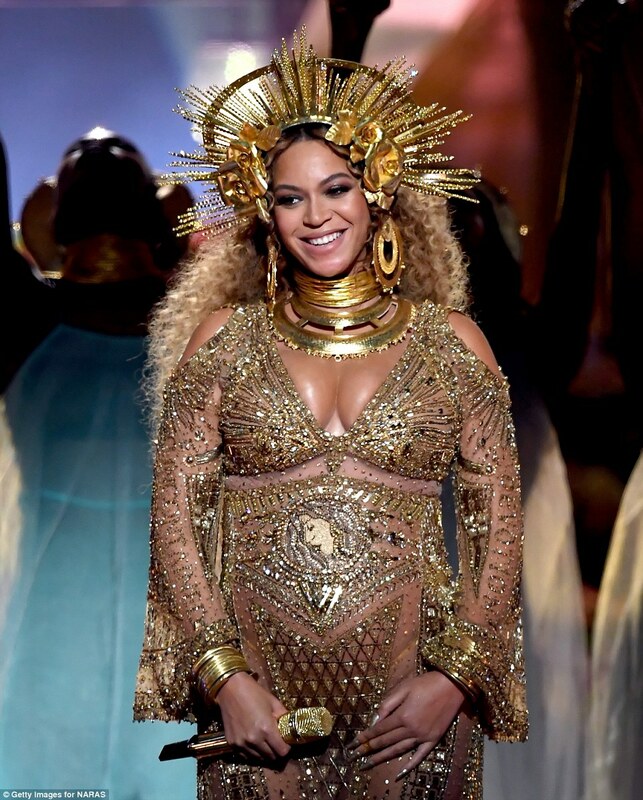 Beyonce's mother Tina, and five year old daughter Blue-Ivy were also presented as holograms during the performance along with the singer herself, and Beyonce certainly topped the best performers at the Grammys list.